When Cadillac officially unveiled the 2020 XT6 ahead of the North American International Auto Show, the Detroit luxury automaker had another bit of news, too. Cadillac announced it was developing an electric SUV. This came days after General Motors announced Cadillac would become the company’s leading EV car brand. “Cadillac’s EV will hit the heart of the crossover market and meet the needs of customers around the world. 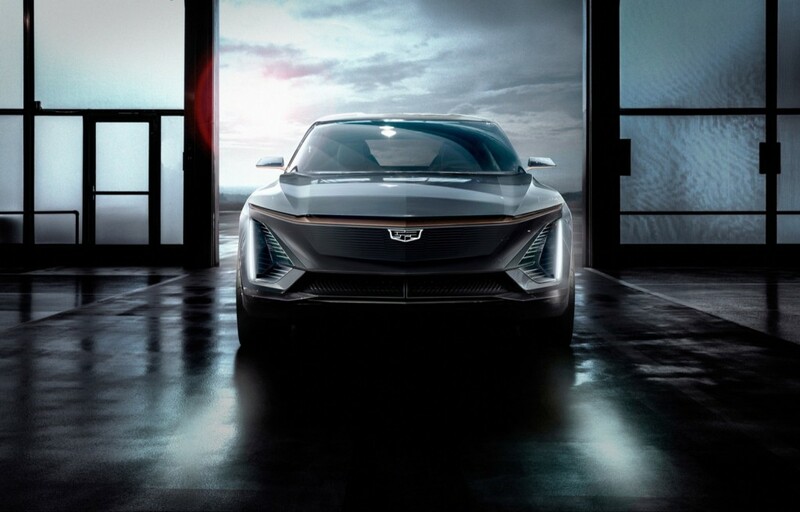 It will represent the height of luxury and innovation while positioning Cadillac as the pinnacle of mobility,” said Cadillac President Steve Carlisle last week. Cadillac released the teaser image above of the nameless electric crossover earlier this week. The company says Cadillac’s first EV will hit the market in late 2021 or 2022, according to Carlisle who spoke to the Detroit Free Press. To hit that timeline, development of the EV platform began in April 2018. The new architecture will accommodate all-, front-, and rear-wheel drive vehicles across GM’s brands, according to the publication. But that’s not all. Buick will also be forced to dabble in electric vehicles due to their popularity in China and the country’s strict government regulations. In 2017, Buick sold 1.2 million vehicles there, making Buick GM’s second largest brand behind Chevrolet. That same year, Chinese consumers bought 770,000 EVs. To meet rising consumer demand for EVs, Buick plans to launch the Velite 6 electric vehicle in the country, spearheading the brand’s electrified rollout. Other EVs will follow in China, giving the brand the opportunity to pick and choose which electric vehicles it brings to the U.S.
Cadillac’s refocus as an EV leader could give headline-grabbing Tesla a run for its money, which enjoys a high ATP from its Model 3, Model S and Model X offerings – all of which are made in California. The decision to make the EV an SUV as opposed to a coupe like the ELR is a clever one, considering the growing popularity of crossovers and SUVs in the United States and around the world. Cadillac best shot is a Darth Vader station wagon? Really disappointing. They introduce the ELR, a beautiful coupe (the first that would make me buy a Cadillac instead of a MB or BMW), true to its concept car design and then pull it after 2-years and the wrong pricing strategy. Why can’t Cadillac (and GM) build the cars people really want? Did it being an EREV make the ELR desireable, or would conventional power have been okay? It’s easy to think in hindsight the Volt should have been a Cadillac first. I tend to think now, it needed to be four door awd with a front-mid engine. And maybe a Saab version could have worked in Europe. Put the LF3 in a blackout Enclave. Make sure it has a drive mode that has a heavy breath blow-off valve. Special editions with a drive mode with cabin-inducted turbine sound in the smaller stuff (maybe Sonic, Trax, a blackout Encore) and a good bump up in power. Mrs. Barra is also on the board at Disney and could make it a go. There probably isn’t a better marketing tie-up to be had.